Foundation Charis’ primary focus is working with Roma (Gypsy) children. The needs and challenges of these children are significant, as many of the children don’t finish school, and spend their days searching through trash, begging for money or finding whatever jobs they can. But even the children who stay in school face some big challenges, as their parents have not had the education to enable them to help with homework or encourage and model for them the value of staying in school. So, many children end up without a good working knowledge of Romanian and without a diploma. This overall lack of education also hinders the social-emotional development of these Roma families and sadly, along with their inability to find work, only excludes them further from society. Foundation Charis wants to help these children, and towards this end, and with the help of many sponsors, have purchased a building in Floresti, a village near Cluj-Napoca. In March 2007, we opened the doors of our Educational Center, Casa Speranta (House of Hope). Our goal is to help change the future for these children by providing them the opportunity to receive a good education. These children are receiving help and encouragement to finish primary school and also move on towards secondary education, such as high school. This is life changing for them! Casa Speranta helps the children with homework and gives extra instruction to those children who need it and would otherwise struggle. This gives these children the help and understanding they need to participate and learn in the regular school system. This also builds confidence and gives the children the chance they need to grow and succeed. 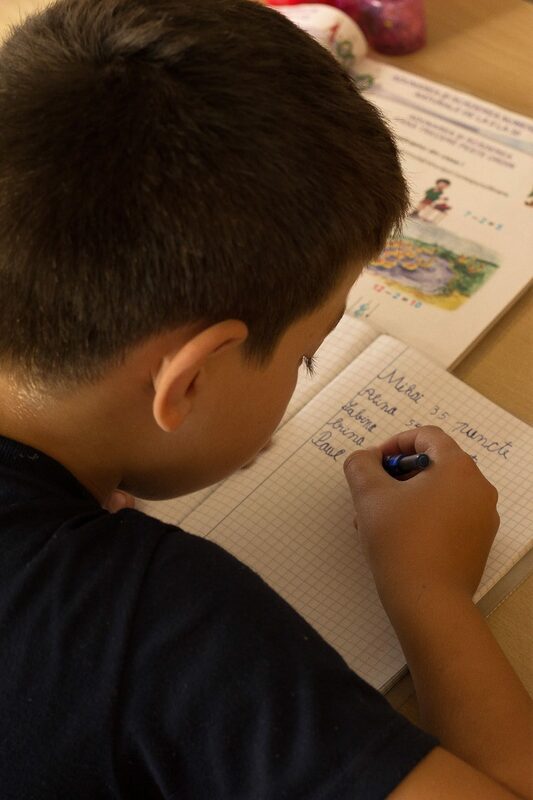 When the children know they can receive extra lessons and help such as this, it also encourages regular school attendance, which is a requirement at Casa Speranta. In addition to extra help with school lessons, the children also receive lessons on managing their time, personal hygiene, handling money, and social skills, which are also so important and helpful in making their way through school and beyond! The children go to Casa Speranta twice a week, either in the morning or afternoon, to receive this extra help with school lessons and life skills. The teachers are able to work with them during that time and give them personal attention and care. They also receive a warm meal. Throughout the years we have been blessed to see more and more children finish primary school and even have a group of teenagers that are attending or have finished high school! The teenagers are a special group at Casa Speranta and we’ve created a separate teenage sponsorship program. This program helps to cover the costs of attending High School, such as tickets for the bus, lunch at school, books and school supplies. Casa Speranta encourages the teenagers to attend school in Cluj- Napoca and especially, when possible, to continue on towards college. We are very thankful for three teenagers who’ve already finished high school! This is such an achievement for them and we want to continue doing all we can to encourage and see this beautiful group of young people continue to flourish beyond their school years! To help and encourage these children to complete their schooling/education which will broaden their opportunities for a good job and give hope for their future. We would like to grow to a size of 60 children and hire a third teacher. We’re always looking for new sponsors for the children and teenagers. You can help by becoming a sponsor for only 25 euros a month. This will go a long way to helping change the future for these children!